Right now I’m battling with a rather annoying flu. 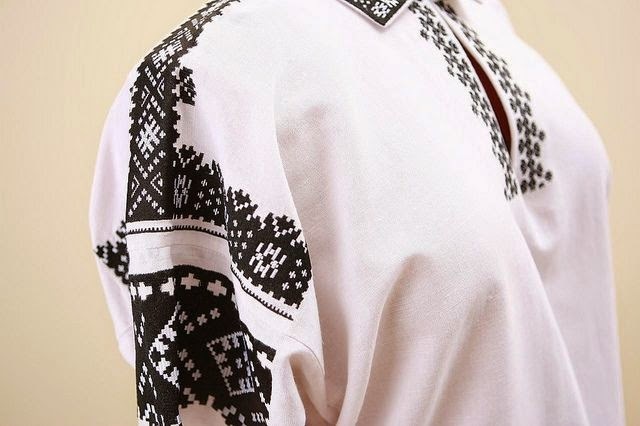 As I was lying in bed for past several days, doing absolutely nothing, I decided to work on the project I started a long time ago – putting on some of the traditional patterns online. 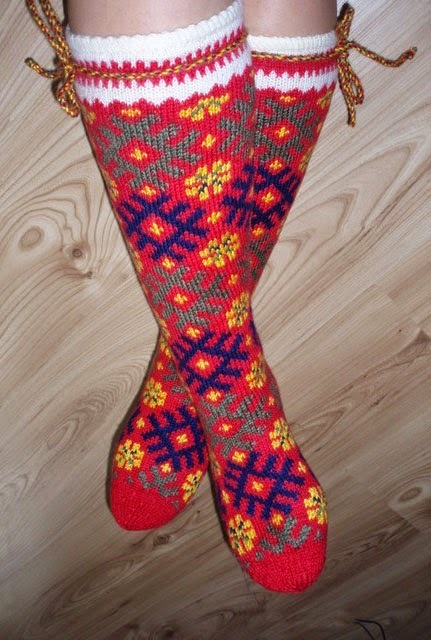 Traditional crafts always fascinate me, from Scottish kilts to our mitten designs. If you look at the bar above, you will see few new pages there to look at - this, this and this. Many of the patterns come from the three thick volumes on our traditional costume, printed late 20; s –early 30's so quality of printing is a bit outdated but the wealth of information is still there. 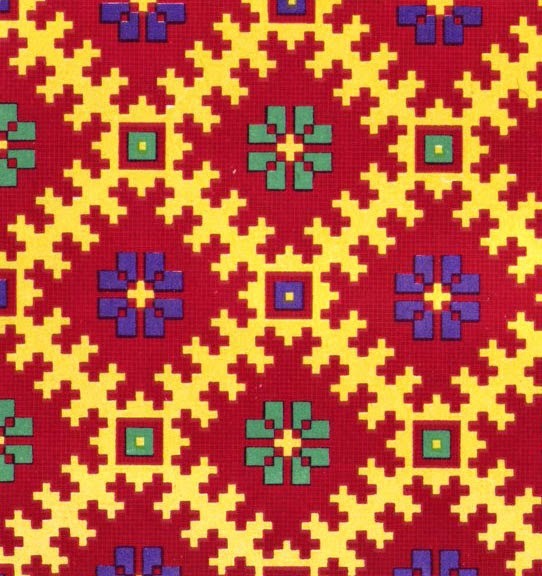 I believe that many of these patterns are still brilliant for modern quilt or fashion ideas. 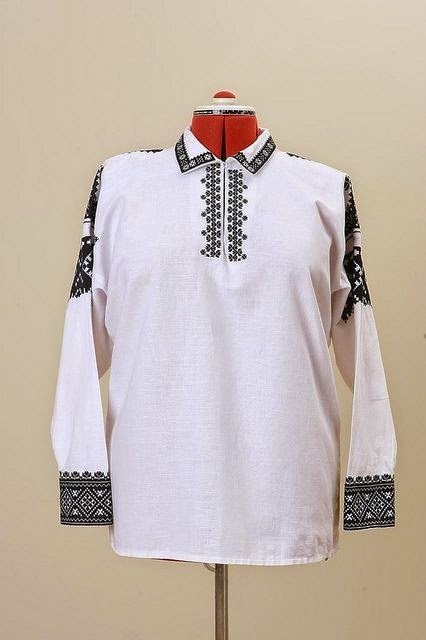 Just look at this linen shirt! I can imagine wearing it with my black jeans and looking fab. 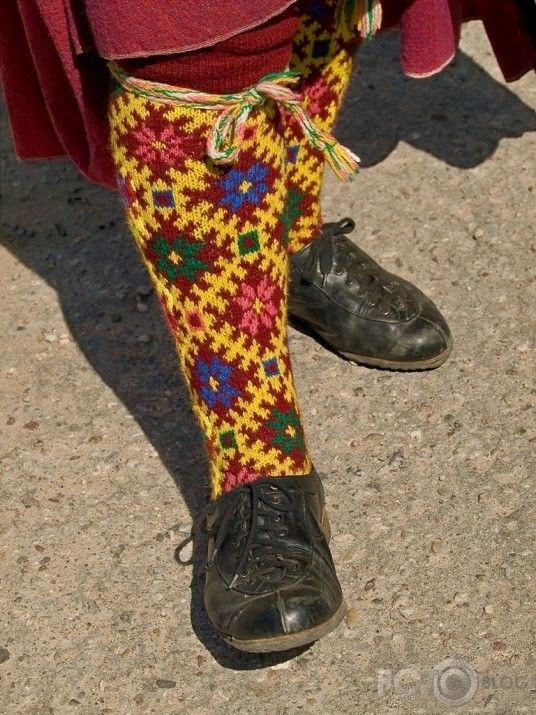 Or these knitted socks – while they are part of one of our region’s traditional costume, they can be a fantastic fashion statement. Whatever, I enjoyed putting at least some up and will continue when the next flu will hit me again. Hope you will find them as inspiring as I do. I love this stuff Ann. When I was a kid I used to get books on costume out of the library and spend hours copying them! Thanks for sharing and hope you feel better soon. Yes they are fantastic Ann and readily can be applied to modern quilting! I too have always loved Folk costumes and art. Hope you kick this bug in the rump soon!